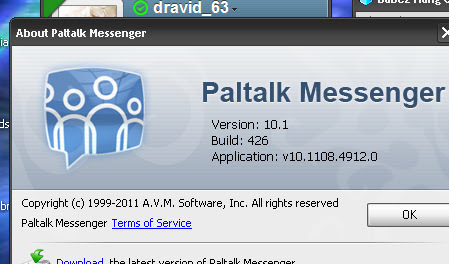 Paltalk 10.1 Beta Build 427, here we go paltalk is like updating paltalk 10 every day of the week. The new beta version is build 427. I did notice something, maybe it was there before lol but it has a new sms feature in the main window, and the about paltalk windows also is different, so at list paltalk change something interesting in this new paltalk 10.1.